Following the Notre Dame squad through an entire season battling to end up in the season-ending College Football Playoff. Cameras follow the team preparing for games as the student-athletes try to balance their academic work with their athletic endeavours. Josh Anderson receives a scholarship; a closer look at Jarron Jones pre-season injury and an interview with his replacement, Jerry Tillery. After their Victory over the Texas Longhorns, there are still a lot of preparations to do before their next game in Virginia. With a rash of injuries challenging the roster, Notre Dame must work extra hard to defeat Georgia Tech in their next game. Although Notre Dame is a heavy favourite, they need to be careful of an upset in their next game against the UMass Minutemen. 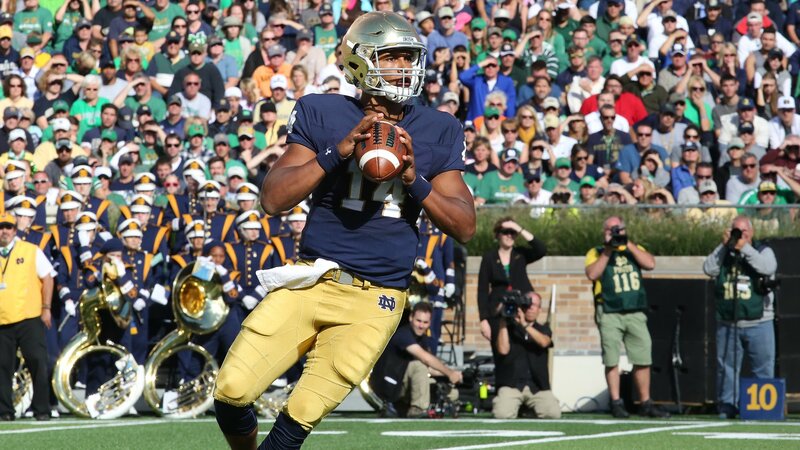 Follow the Fighting Irish as they try and stop the high powered offensive attack of the Clemson Tigers. After a tough loss, Notre Dame faces the Navy Midshipmen, a rival team since 1927. After the USC Trojans blew out Notre Dame in last year's match up, the challenge is on when they meet again. The team enters fall break at their bye week and many players go home to visit their families. The team prepares to play the undefeated #21 Temple Owls in Philadelphia on Halloween night in what may be their biggest game ever. The Notre Dame football team prepares to face a tough challenge on the road from the Pittsburgh Panthers. Notre Dame prepares for the last home game of the year against the Wake Forest Demon Deacons. The team take in the atmosphere of Fenway Park upon arriving in Boston for their Shamrock Series matchup against the Boston College Eagles. Notre Dame has their playoff dreams cut short after losing their second game of the season. Chronicling the University of Notre Dame's quest for a college football national championship.